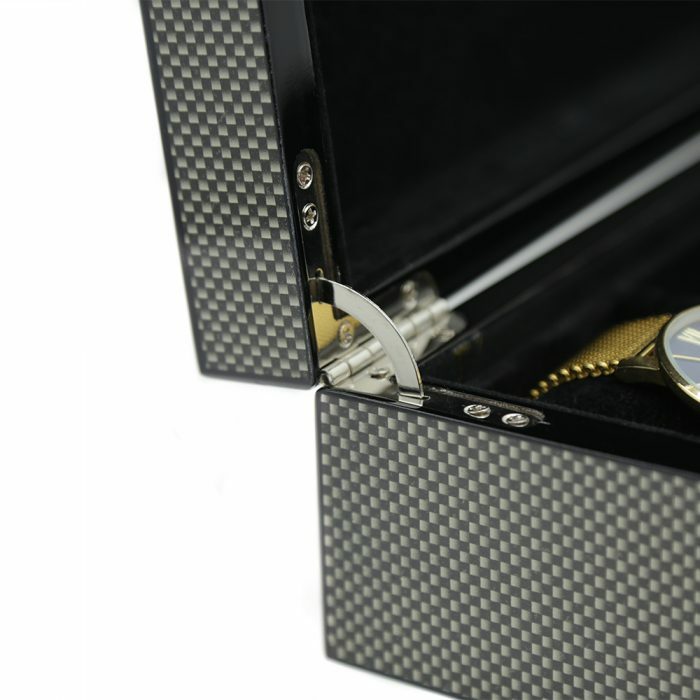 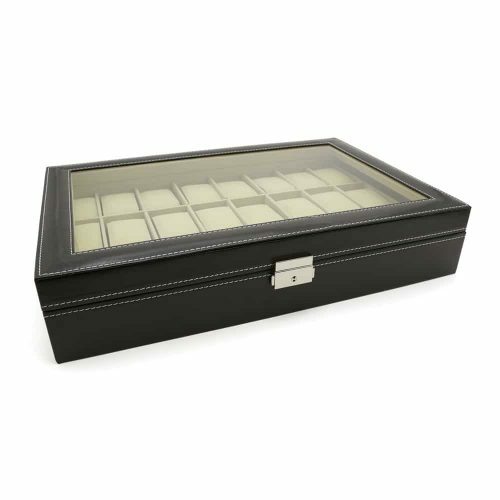 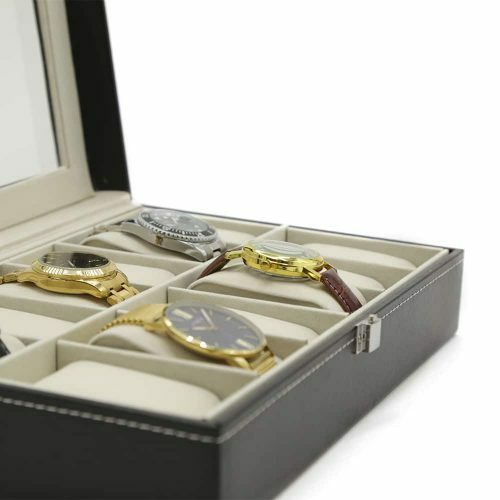 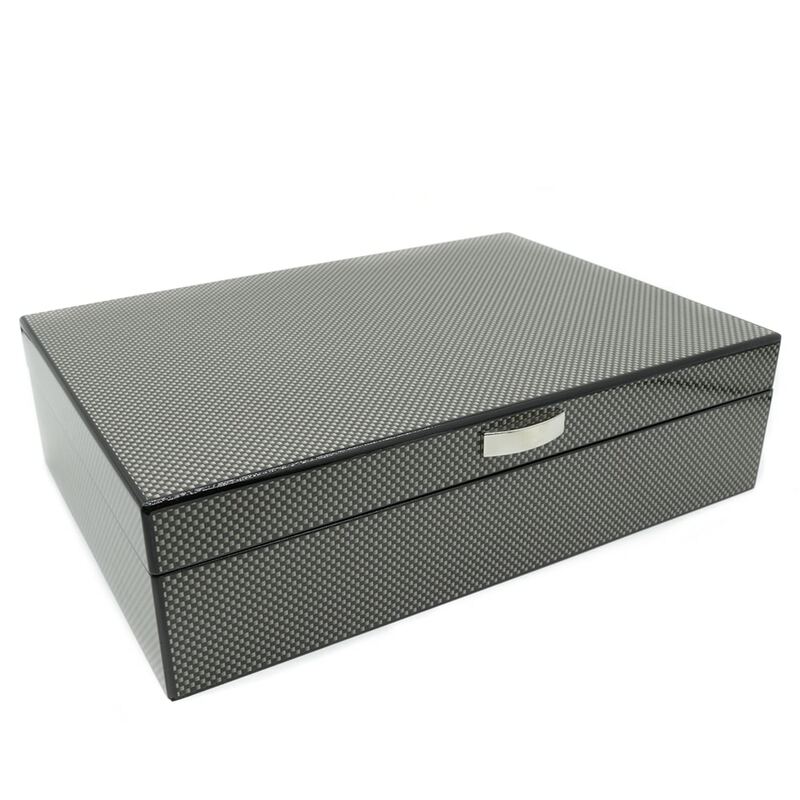 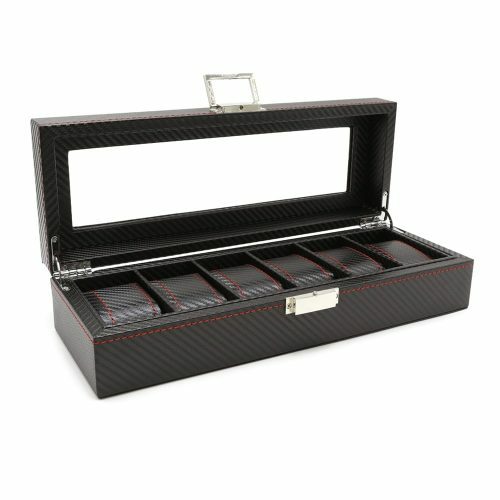 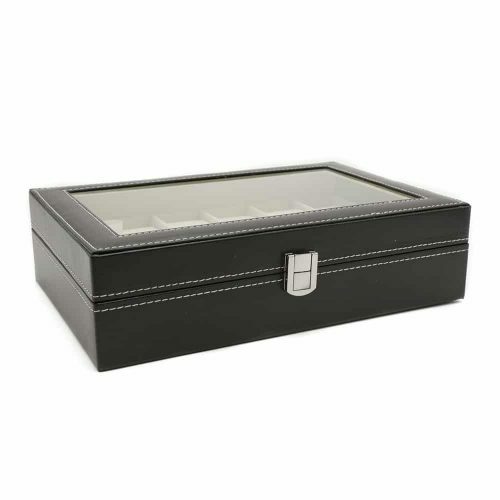 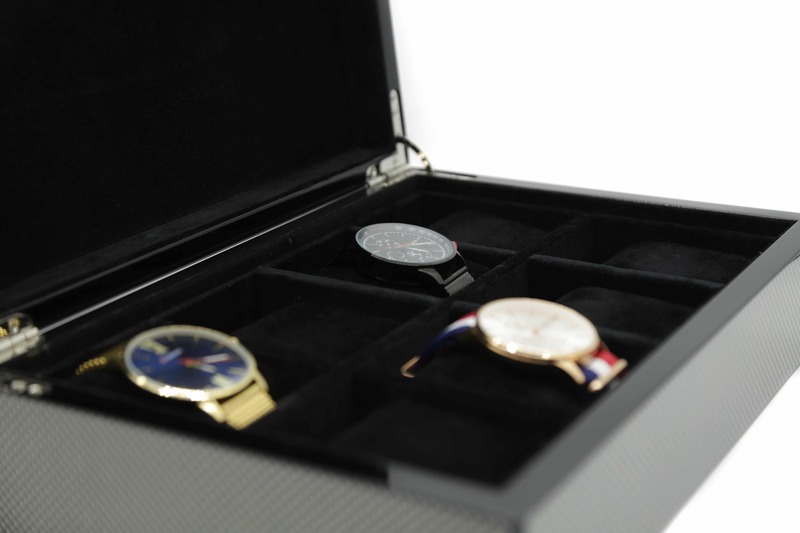 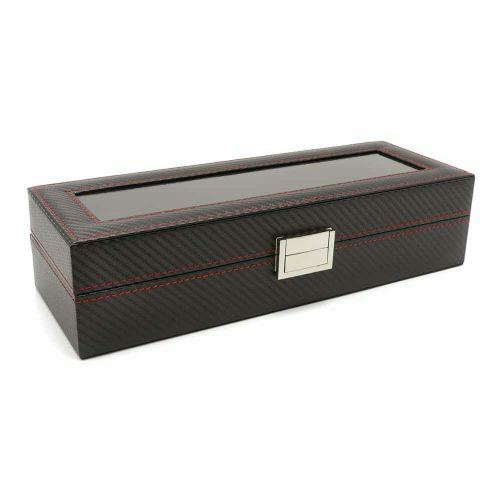 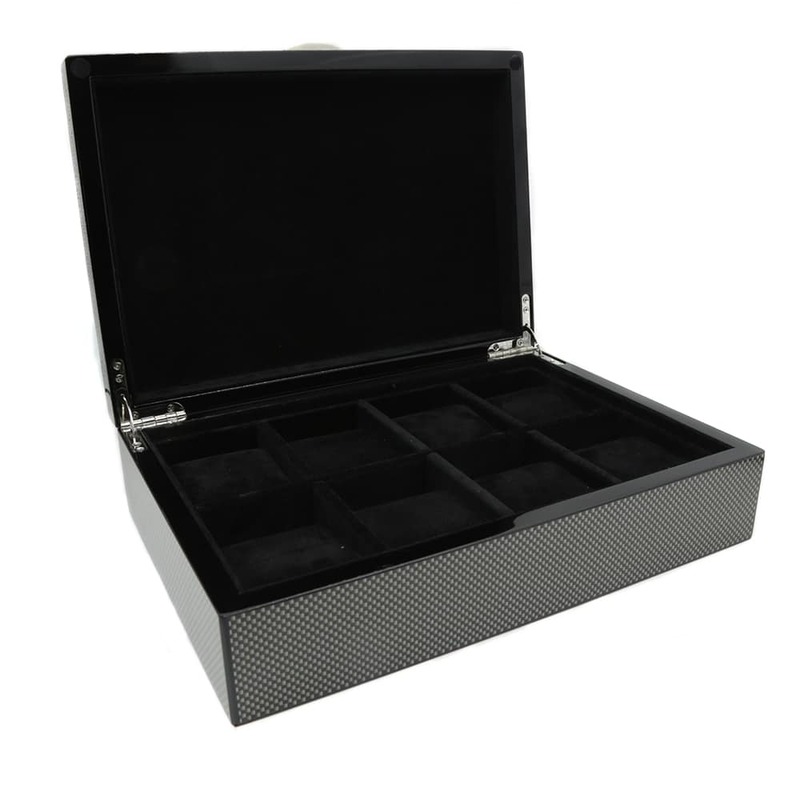 Organise and keep your watches dust-free with this Carbon Fibre Print 8 Slot Watch Box. 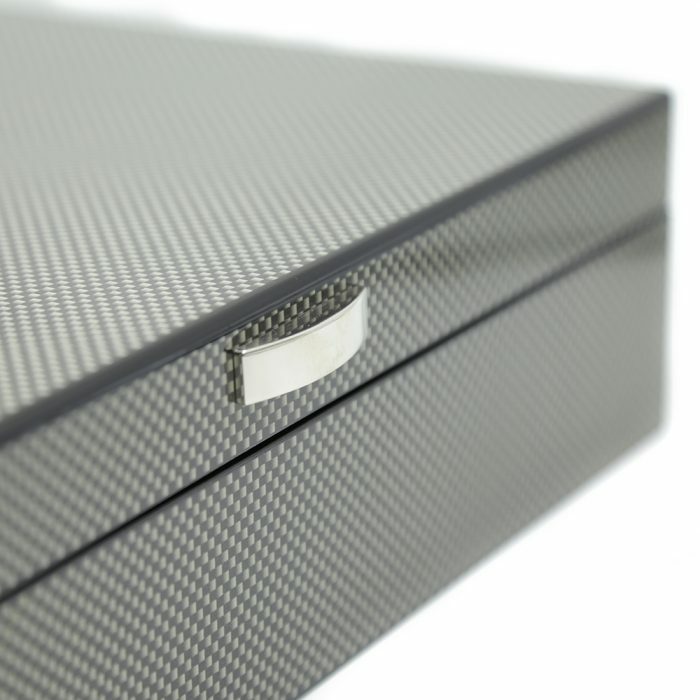 The exterior has an elegant carbon fibre pattern accentuated by silver features. Inside, it’s fitted with soft, high-quality black velvet to ensure your watches remain scratch-free. 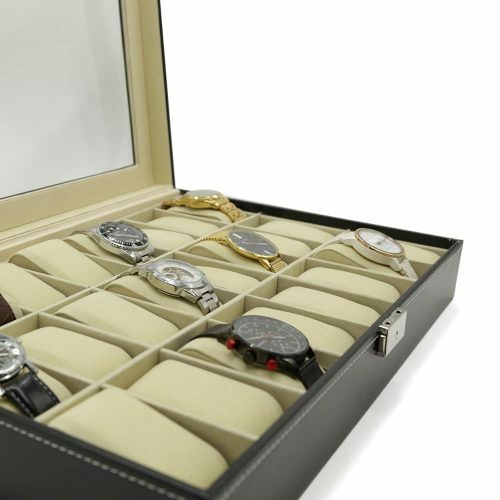 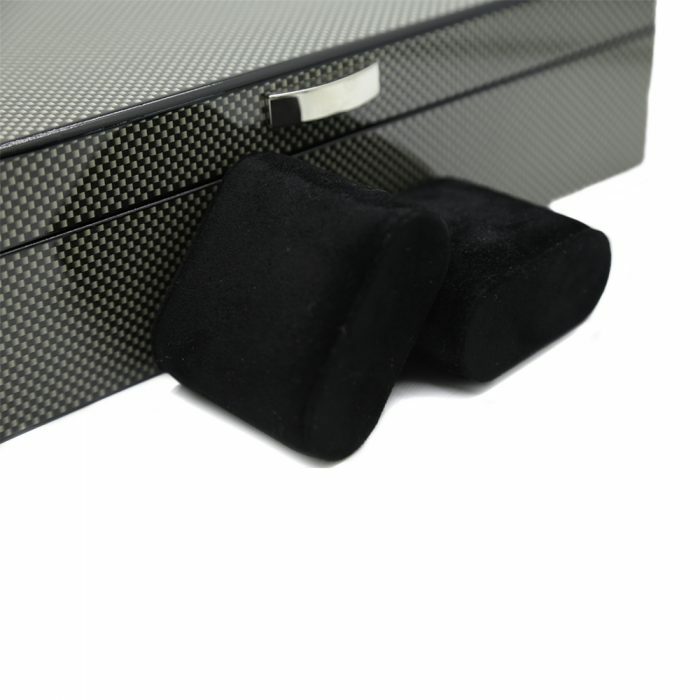 This watch box has bigger pillows making it perfect for multiple watches, watches with bigger faces, your extra watch straps or your brackets.